Hollowsoul Wraith (Monster): Aggressive when you enter in room and when you respawn. Hootbear: Aggressive when you enter in room and when you respawn. 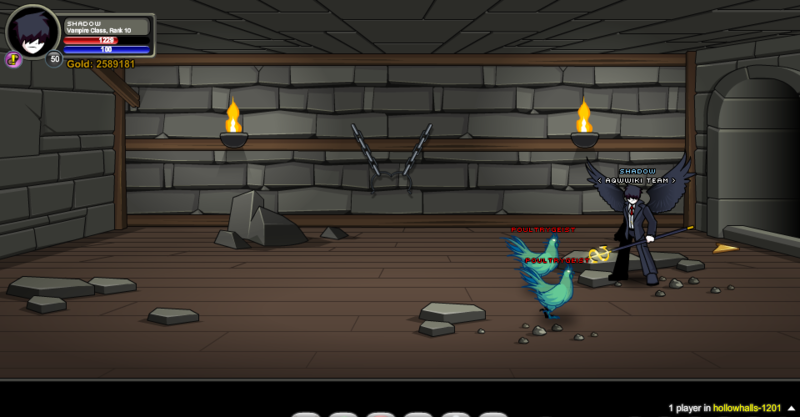 Poultrygeist: Aggressive when you enter in room and when you respawn. Note: Hollowsoul Red Key is required to proceed through the door. Note: Hollowsoul Green Key is required to proceed through the door. Note: Hollowsoul Blue Key is required to proceed through the door.